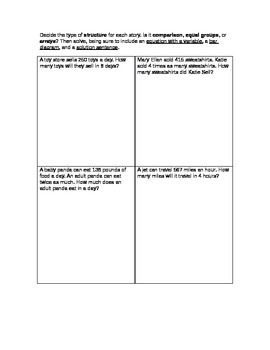 Two pages of multiplicative comparison word problems. 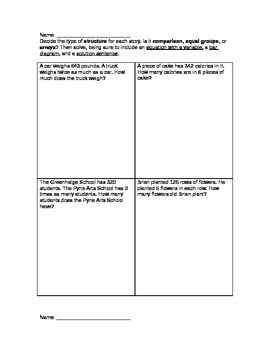 Have students decide whether the problem structure is comparison, equal groups, or arrays. Also have them solve using an equation, bar diagram, and answer statement.